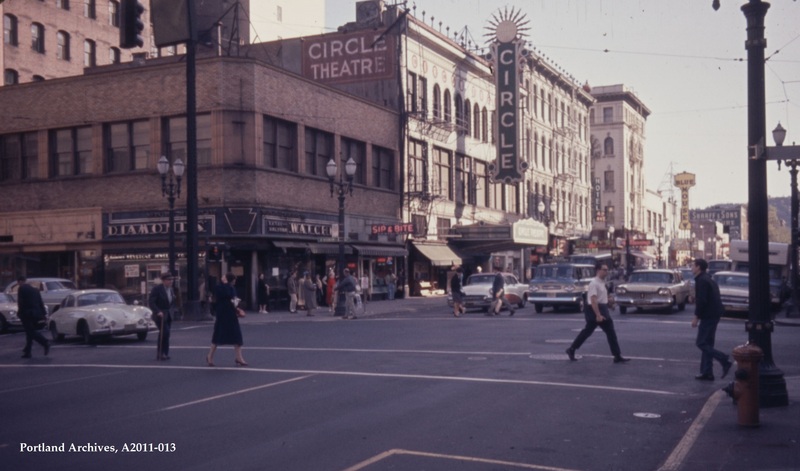 SW 4th Avenue at SW Alder Street, 1964. 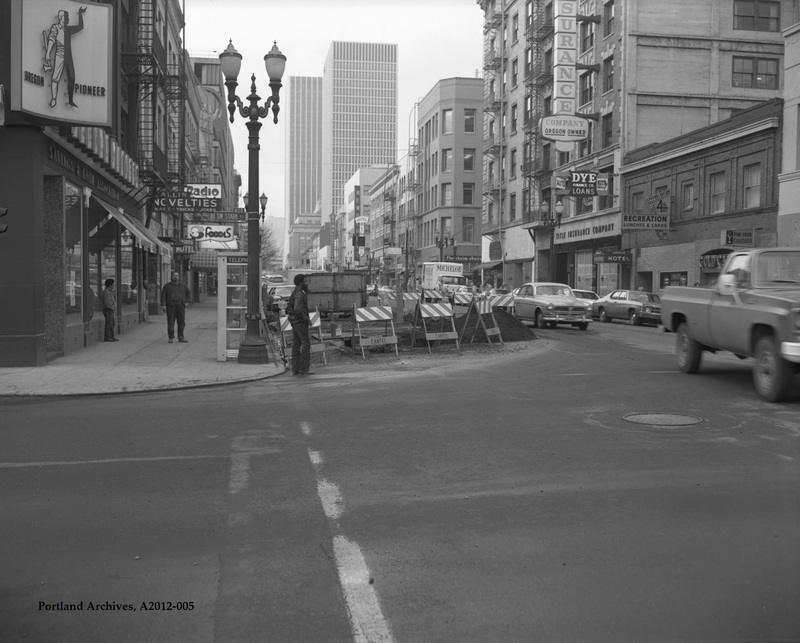 City of Portland (OR) Archives, CU 30-64 : SW 4th Ave at SW Alder St, A2011-013, 1964. 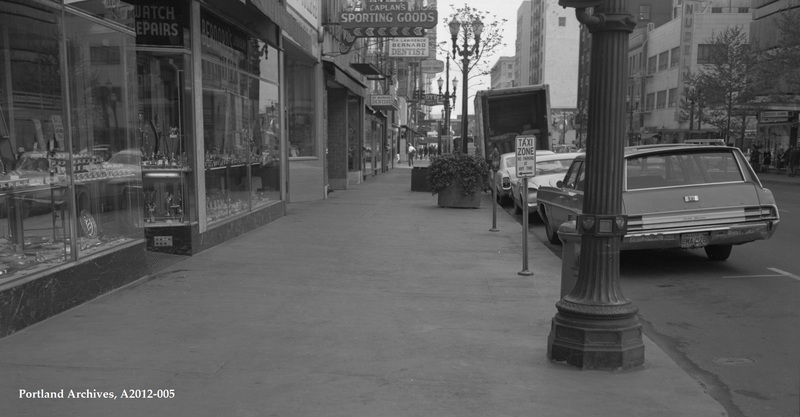 SW 4th Avenue at SW Alder Street, 1971. City of Portland (OR) Archives, SW 4th Ave at SW Alder St, A2012-005, 1971. Street work at SW 4th Avenue and SW Stark Street, 1973. City of Portland (OR) Archives, Street work at SW 4th Ave and SW Stark St, A2012-005, 1973. 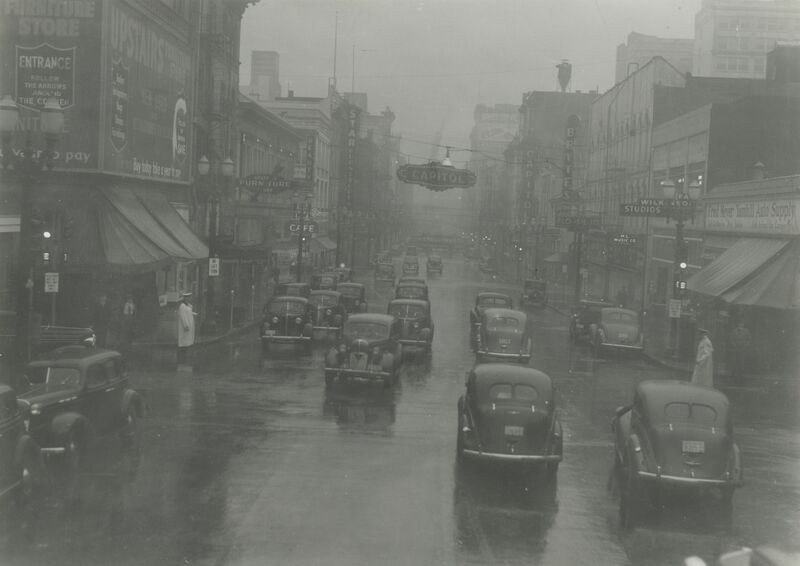 A rainy day on SW 4th Avenue looking north towards Yamhill Street, circa 1939. City of Portland (OR) Archives, A2005-001.879. 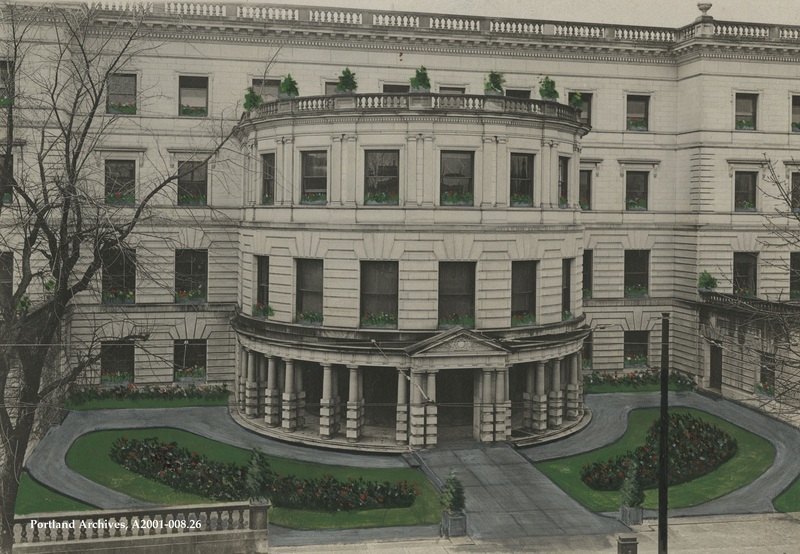 Proposed improvements to City Hall on SW 4th Avenue, circa 1915. City of Portland (OR) Archives, A2001-008.26. 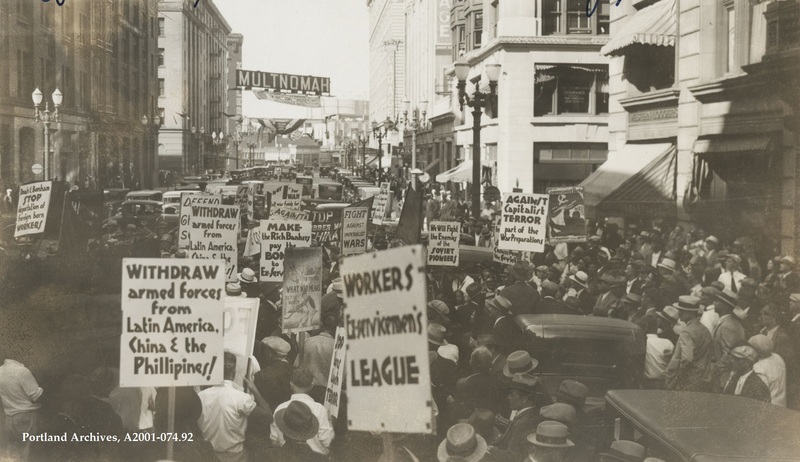 Anti-war day march on street in front of the Japanese Consulate on SW 4th Avenue, 1932. City of Portland (OR) Archives, A2001-074.92. 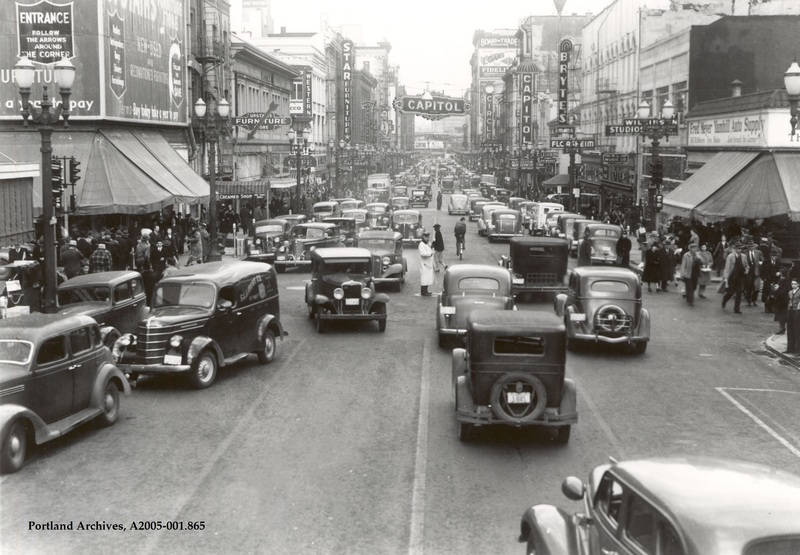 SW 4th Avenue looking north toward SW Yamhill Street, circa 1939. City of Portland (OR) Archives, A2005-001.865.